“Our first day operated like we had been together the entire year. Then six months later, he reported, based upon mid-year, county wide benchmark assessments and the Iowa Tests of Basic Skills (ITBS), Elite Scholars Academy was one of the highest performing schools in the district. This was an amazing feat for a first year school with several novice teachers. Graysen attributes the students’ success to a Culture of Consistency. When everyone carries out these practices and procedures, there is a Culture of Consistency. All good schools have a vision or belief—STUDENT SUCCESS. Schools achieve the belief by what they do—the practices used by the teachers. Ineffective schools do not have a culture. They believe that programs, structural changes, money, philosophies, and ideologies will improve their school. So they keep looking for the silver bullet that will transform their school, when the silver bullet is right under their nose. It’s the teacher, the practices used by the teacher that creates student learning and achievement. Every successful group has a culture of consistency. For example, look at any sports team. They all have a common goal: Win the game. Every player has a role to play, a set of practices that contribute to the team. The team is what matters. Regardless of how good the players are, winning a game is ultimately the result of how well they function as a team. It is the result of how well the players carry out the practices and procedures as a team. Sports is not the only entity with teams. Successful businesses, the military, even Broadway shows—they all have a Culture of Consistency. So why not our schools? Simply put, a school must have a set of schoolwide procedures that are consistent from classroom to classroom. This consistency makes life easier for the students and the teachers, as everyone knows what to do, what is happening, and what to expect. No one, especially the students, likes surprises. When buying a box of cereal or a tube of toothpaste, of the same brand, you expect to get the same thing every time. You expect consistency, not a surprise. You expect the product to be dependable and predictable. Students do not like to be in classroom where they do not know what is going to happen next. Students like consistency as it creates a school climate where everyone knows what to expect and what to do. Consistency builds a work environment that is safe and inviting. Teachers like consistency as there is no more yelling and berating students to do something, because they all know what to do. There’s consistency in the classroom. When there is culture of consistency, the students will work, produce, learn, and achieve. Click here and read how a school in Las Vegas has schoolwide consistency. To read how a school district has been a model of consistency for more than 25 years, click here. Don’t let the name of the school, Elite Scholars Academy, fool you. It’s simply the name given to a new school with all Title I students who all entered via a lottery system. The fact that this is a charter school has nothing to do with its success or failure. The charter simply let Graysen Walles start a school with minimum bureaucratic red tape and people hovering over him and his teachers telling them what to do and how to teach. in any neighborhood, and in any country. Graysen Walles knew this when he started Elite Scholars Academy outside of Atlanta in July 2009. A month before, he invited Harry Wong and Chelonnda Seroyer to come and train everyone, teachers and administrators, on how to implement a culture of consistency,—and this was done in one day! Structure and organize a classroom so the students can learn. Create and deliver instruction so the students can achieve. Believe all students are capable of success. But mostly, time was spent working on some schoolwide procedures all could agree with and stick to. To create consistency between classrooms, Harry and Chelonnda gave each teacher the responsibility of producing an agenda for each day, bellwork, and procedures. Then Graysen worked with the staff to create schoolwide procedures to reflect the values and goals of the school. These procedures are followed every day in every classroom, every hallway, and even on the playground. The training provided was pragmatic and immediately implementable. Operations and logistics during the first week worked like clockwork, like a well greased machine. Our teachers and students knew exactly what to do. Every teacher taught their classroom procedures and schoolwide procedures. The students moved from class to class hearing the same consistent message, which enhanced our ability to work as one unit on the very first day of school! Our first day operated like we had been together the entire year. Simply amazing. And of course, the foundation for building a culture of consistency must begin from the very first day of school. Just as effective schools have a culture of consistency, all effective classrooms have a culture of consistency. The teacher and the students all know what is happening every day. For instance on the first day of school, Crystal Moore’s seventh grade math class began with a PowerPoint presentation on the school’s beliefs and procedures, followed by the classroom beliefs and procedures. 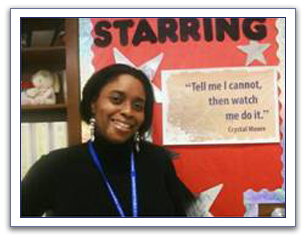 Click here to see Crystal’s first day of school procedures. Meanwhile, the students in Reshawndra Hutchins’ science class viewed a PowerPoint presentation with her classroom procedures. Click here to see Reshawndra’s first day of school procedures. And here’s the PowerPoint presentation of Derek Gray’s classroom procedures. Click here. When you are looking at these PowerPoint presentations, note that they not only explain the procedures, but also the beliefs and goals they support. They encourage students to become a part of the school’s culture, by following procedures and by upholding the values of the school. The most effective schools have a culture of consistency, where everyone is working collaboratively to help everyone be successful. Everyone is working toward a common goal, striving for constant improvement. At Elite Scholars Academy, the teachers and administrators work in teams to actively maintain a culture of consistency. Because the staff is small, these teams of four or five teachers can work in a very tight-knit group. This way, the teachers professionally develop each other. They help each other by sharing information and techniques with each other. Eighth grade, Math teacher Derek Grey says, “I could not have been as successful without the help of my colleagues. Collectively, we function as a team and that helped the success of our students as well. “Often we go into each other’s classroom during our planning period to help students while the main teacher delivers instruction. This culture of support, high expectations, and consistency is shared every day throughout the school. It is what makes this school successful. And all it took was a little planning, a little belief, and a few solid schoolwide procedures and routines. Graysen is very proud of what he has managed to put together. Not only has he started a successful school, but he has also brought together a strong team and created a close family. And the staff at the Elite Scholars Academy can be justifiable proud. In January, the students out-performed all other schools in Clayton County on the Writing Assessment—83% of 8th Graders passed, with 5% of them exceeding state requirements. 95% of 6th Graders passed. 99% of 7th Graders passed. 95% of 8th Graders passed. And this was in Math, one of the biggest challenges across the country. This gave the Math teachers the needed data to differentiate and help students master the needed standards for the State Wide Criterion Referenced Competency Test (CRCT); Georgia’s High Stake Assessment for Middle Schools, which will be taken from April 14 – April 22. If these test scores don’t impress you, then being called a “cool” school might be the ultimate recognition! The CBS station in Atlanta has done two different segments on the Elite Scholars Academy and has called the school one of Atlanta’s “Cool Schools.” To see a video on CBS about the school’s media team, click here. To watch the segment on their hip hop and step clubs, click here. What better way to sum up a school’s success than to let a teacher share her experience at Elite Scholars Academy. Candy Harbin is a 10 year veteran of the Army, Army Reserves, and Army National Guard and is the 6th Grade Team Leader, 6th, 7th, and 8th Grade Gifted ELA Instructor, English Language Arts Department Chair, and Yearbook Club Sponsor. Procedures structure my classroom. You have to start students off with great structure. My classroom is better than ever! I teach the Georgia Performance Standards while incorporating the Gifted Strands within the classroom. Things like cognitive process, self-science, creative thinking, and research skills are just a few Gifted Strands that take our learners higher on Bloom's Taxonomy on a daily basis. After seeing the great success in my classroom, we will be moving those strands to all classrooms next year in keeping with the mission and focus of the Elite Scholars Academy. The reason for our overall success (in the classrooms and in the school) is the fact we have developed great relationships with our parents! Parent support is the key to any student's success. We have high parental involvement in our school and it is so reassuring to all the teachers. They are our backbone to what we do here. The parents are part of the school’s culture of consistency too. 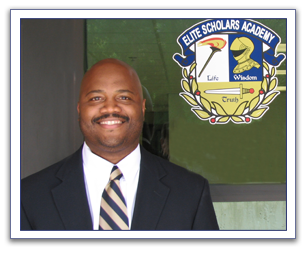 Elite Scholars Academy’s success has nothing to do with it being a charter school. It has nothing to do with it being a new school. The staff at Elite Scholars Academy knows what it takes to be effective and they just do it. Any school that does what this staff does will be an effective school. Schoolwide procedures ensure that everyone is on the same page. And when everyone knows what is expected and how to get it done, there is less muddling and confusion in the classroom, and more time is spent on learning and achievement. Take the first step towards not only becoming an effective teacher, but becoming a successful school. A few simple, schoolwide procedures can make all the difference. From the first day of school to the last, a culture of consistency is the key to a successful school year. More importantly, it is the key to successful and happy students, and effective and happy teachers.